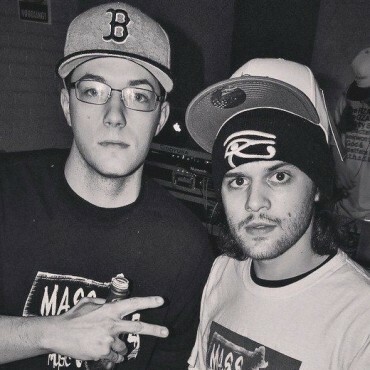 Time & Lepp are two good friends and talented MC’s from Townsend, Massachusetts. They’ve been working on music from a young age and drew a lot of inspiration from the 90’s, which is evident in the Boom Bap style of beats they use and the conscious lyricism and flow they bless them with. Outside of this project, another track worth noting is their single “Do What I Feel” produced by Dirty Dan. The most recent music that we’ve heard from either of them came when Fitchburg rapper Raw Bizness released his track “No Sleep” a couple weeks ago. It features an incredible, technically advanced opening verse from Time, which was recognized by Producers United as the “Verse of the Month” for May. The song also features Weapon E.S.P, who we mentioned in our popular article (shoutout to the 25,000+ who have viewed it) “Massachusetts Hip-Hop Is Having A Breakout Year”. Both E.S.P and Time & Lepp are affiliated with the MASSacre Music Group founded by iLLa Truth. Time & Lepp are no strangers to performing energetic live shows, and you can witness them first-hand when they open up for the legendary Royce Da 5’9″ at the Middle East in Cambridge, MA on Wednesday, June 8th. Support local talent! Like Time & Lepp’s Facebook page here.